Google has been putting the last second touches on its Google Maps application that it has been building for iOS users unhappy with Apple Maps. Google has been distributing a test version of the app and plans on soon submitting it to Apple for inclusion in the App Store. The Mountain View based tech titan does not have a date in mind for launching the app. Apple had banished Google Maps (not to mention the native YouTube client) from iOS 6 in place of Apple Maps, but the latter launched to a litany of problems. Eating crow does not suit Apple executives well and Tim Cook's apology should be the driving force behind a revamped Apple Maps application. The Cupertino based firm was looking to hire software engineers who worked on Google Maps to help fix the problems with Apple Maps. What makes this battle between Google and Apple so important is that whichever maps application is deemed to work the best will be used by developers of mobile apps that are designed to lead users to shopping locations, places of interest and other venues. The Apple Maps failure led to the firing of long time Apple software head Scott Forstall, whose decision not to give a public apology led to a pink slip with his name on it. The Apple Maps team is now lead by Apple senior vice president Eddy Cue. 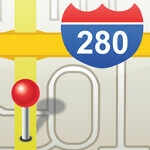 The new Google Maps for iOS app will include spoken Turn-by-Turn navigation. Disagreements between Apple and Google led to the lack of spoken directions on the original Google Maps, which despite its name, was under Apple control. Google managed to grab attention when the feature was offered for free with Google Maps on Android 2.0, which was shipped with the Motorola DROID. Google Maps for iOS will be totally produced and operated by Google and just like any app available on the App Store, Google will be able to profit from selling ads on the app. As a result, Google will be much better off financially by being removed as a native service. The same thing applied to YouTube which was removed as a native app on iOS 6. Apple now offers a YouTube app in the App Store and sells ads on the popular video streaming service, something it was not allowed to do as a native app. The lone native Google app left on iOS is Google Search and speculation is that Apple will eventually banish it from iOS 6 and promote Siri as a replacement. The voice-activated personal assistant relies on Google and other sources for its spoken information. Excuses. Apple never blocked the YT app. Calling it now--apple is gonna try and sue Google claiming Google Maps is a copy of apple maps. I wouldnt be surprised if sometime in the future apple do sue some thing to do with maps and it will be so broad the patent that its going to be laughable like every other patent. Well i cannot wait. 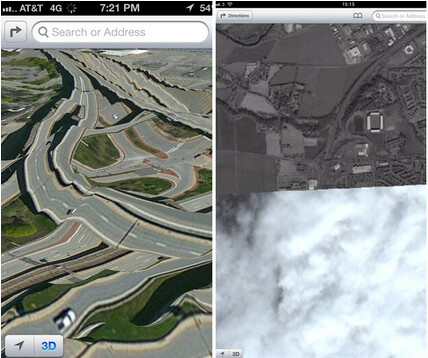 The maps application provided by Apple has not been bad but i really miss streetview more than anything else. Cant wait to have that again. Google maps or here maps by nokia will be better ? why is PA still didnt report the nokia here maps? coz its worth the news!!! and they are building an app to android, iOS and the upcoming firefox OS! and that will really make users happy!